The stories of the Mother and 7 Brothers in the book of Maccabees aims to share Jewish Hero stories. While under persecution from Roman Emperors it was helpful to look to examples of great courage and faithfulness to Jewish teaching and tradition. It is best understood not primarily as exact history, but faith lessons taught via story. It was the Macaabean family that stirred up a revolt against Syrian authorities and drove them out of Israel. These young brothers along with their Mum defiantly proclaim their belief in the resurrection. If in the midst of a violent persecution, where would your heart and thoughts turn to? St Paul reminds the Thessalonians that they are not to sit idle, waiting for the end of time. They are to do all they can so that the Word of the Lord may speed forward… and keep on ʻdoingʼ what they have been instructed to do by Paul. This requires the ʻendurance of christʼ. How would you rate your discipleship journey at present. Idle? Speeding forward? What do you require endurance in? Sadducees were the elite priestly class that served in the Temple. They only believed in the Torah (first 5 books of the Bible) and did not consider other writings or oral traditions as binding. Consequently they did not believe in the Resurrection. They sought to involve Jesus in a conversation that would cause others to ridicule him. Their view of marriage was a Levirite view. Marriage continued the family line and stopped a family dying out. Jesus challenges the Sadducees not to think so narrowly. In death we are changed, not ʻdeadʼ. And there is more to marriage than maintaining children. Have you ever considered that Marriage is to symbolise the union we will have with God in heaven? Marriage is a sign pointing to a heavenly reality. When you are in the ʻrealityʼ of the restaurant you no longer need the ʻsignʼ for the restaurant. What does this teach you about Christian Marriage? Celibacy and Chastity are connected with Marriage as they seek to live the ʻrealityʼ of union with God in heaven instead of living the ʻsignʼ of God in marriage. Can you see how priests, sisters, brothers, consecrated lay people, married people are all ʻpointingʼ to the same reality? Have you ever had difficulty understand the vow of ʻchastityʼ that religious people make? Do you understand a little more now? In celebrating the recent All Souls Day (November 2nd) did it stir up within you thoughts of resurrection and your belief in the after-life. How would you say the Resurrection affects your life ʻnowʼ? 30th Sunday Yr C – A Tax Collector and A Pharisee at Prayer. The writer of Ecclesiasticus is a writer by the name Ben Sirach. He was the ʻheadmasterʼ of an Academy in Jerusalem that mentored Jewish students in the art of living well. His writings are a collection of the best of Jewish thought and philosophy. It contrasts with Greek culture and thought which accepted a huge gap between the rich and poor, those who were ʻfreeʼ and those who we ʻslavesʼ. 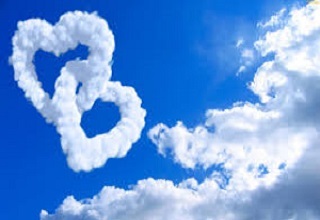 Why do you think ʻthe prayer of the lowly pierces the cloudsʼ? Paul is writing from Prison in Rome. In his pre-trial hearing Paul shares that there was no-one who came to support him in court. Imagine his loneliness and sense of betrayal! And yet he does not choose to blame or get angry. Scholars suggest christians in Rome were afraid of persecution if they came to support Paul. Have you had an experience of hurt from those you thought would support and protect you? Can you say like Paul ʻmay it not be held against them!ʼ Paulʼs attention continued to focus on his life imitating the life of Jesus, ʻbeing poured out like a libation (offering)ʼ. In your struggles, is your attention on your ʻenemyʼ or ʻJesusʼ? Jesus teaches about prayer and righteousness in the parable of the Pharisee and the Tax Collector. What do the words of the Pharisee’s prayer reveal about his attitude toward God and sinners? A Pharisee was a strict observer of the law. Going beyond what was required they fasted 2 days per week (Jews were only required to fast on 1 day a year) and tithed on everything they received (even the goods that had already been ‘tithed’). They were extremely observant. They enjoyed their ʻholyʼ and ʻrighteousʼ reputation. Deuteronomy 26 taught them to bring a 10th of ones produce to the temple, thanking God and asking for God’s blessing, and giving to the levite, the foreigner, the orphan and the widow. Has this been fulfilled? Has the Pharisee done anything wrong? Is the Pharisee ‘righteous’? A Tax Collector (often Jewish) worked with the Roman authorities to collect road charges, goods tax, sales tax. They made significant profits above their contracted price. They were despised by Jews. For a tax collector to make amends, they were to pay-back overcharged taxes with an additional 1/5th to be added. They could never know everyone they had wronged and therefore could never repair their ‘wrongʼ The tax collectors often felt their religious situation was hopeless. They could never be forgiven! Name some of the feelings experienced by the ʻtax collectorʼ. What is it about the tax collector that you can relate to? The Pharisee encountered only himself in prayer. He was extremely satisfied with himself. Is this prayer? The Tax collector humbly looked to God for mercy. Why is it that God listens to the Tax Collector? The Amelekites were a constant threat to the peaceful settlement of Godʼs people in the promised land. The battle scene is describing a theological point. Other countries made political and military alliances. Israel was to rely on God. And prayer works! What does the phrase ʻkeeping your hands raised upʼ mean for you? Have you asked anyone to pray to God for your protection? Can you remember an experience where you recognised the power of prayer? Moses, the leader of Godʼs people is getting tired. He needs Aaron and Hur to support his hands. Who do you recognise as a spiritual leader and guide for you? What support could you offer? Joshua was out fighting in the field. Aaron was being trained as a leader at the side of Moses. Hur is a hidden and unknown figure behind the scenes. Which character do you identify with? What is the next step for you in public leadership in the Church? It is not intellectual proofs of God that convince people, but witnesses. St Paul reminds Timothy of his grandmother Lois and his mother Eunice (2Tim 1,5) who taught and witnessed faith to him from his infancy. Who has been a great faith witness to you from your infancy? Scripture is inspired by God – literally ʻGod breathed! – and is able to continually inspire, encourage and challenge in a living way at every reading. Can you remember an experience when the word made you uncomfortable? Convinced you about some teaching? Challenged you deeply? Encouraged and comforted you? Jesus paints a picture of a ʻmeanʼ judge who does not listen or care about anyone. Jesus is saying that God is NOT like this judge. Evil as the judge is, he responds to the persistent prayer and is fearful of the widow who will (in Greek) ʻstrike me and give me a black eyeʼ! Jesus encourages us. God is not someone who we need to ʻwear downʼ by our constant prayer. We are to trust in God as a loving parent. Have you moved from ʻpraying with lots of wordsʼ to ʻpraying with lots of silenceʼ? What does the image of a baby silent in a parents arms symbolise for you? Widows were not allowed to inherit their husbands property. If without family they had no one to care or look after them. Judges were to ensure widows, orphans and ʻaliensʼ (foreigners) were looked after. This widow is obviously raising her voice to demand justice. She will not sit down, feel powerless, reduce herself to being broken and afraid. Silent. Jesusʼ parable reveals that God is on the side of the poor and listens to their prayers. Wow to those who allow the world to remain for many an unjust and inhospitable place. Have you ever raised your voice for the cause of justice? 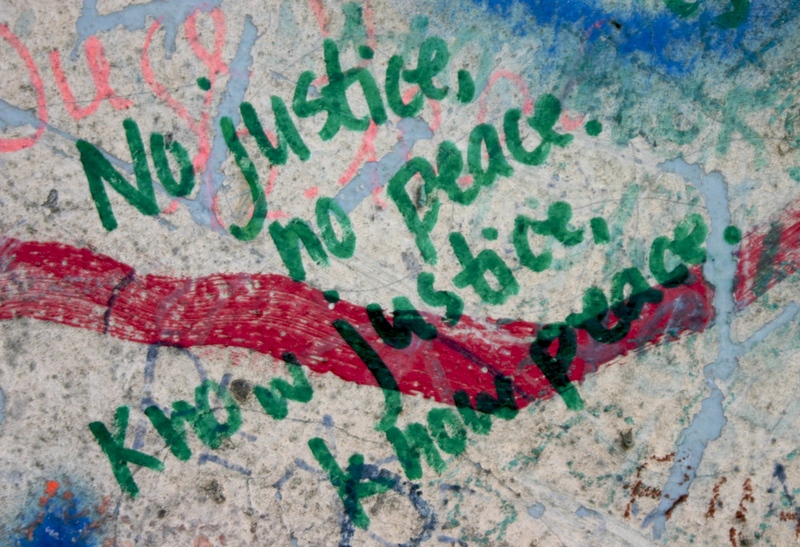 What area of need or justice project has caught your attention recently. What could you do to be involved? Our readings today have 2 characters who suffer from Leprosy. Lepers were excluded from living in the community. People didnʼt want to catch the disease. It was also commonly believed that leprosy was a sign of being punished by God and that the leper was both morally and ritually unclean. Having to live alone and outside the town (Lev 13,46) caused incredible loneliness and constant rejection. What are the modern forms of leprosy causing loneliness and rejection today? What might your form of ʻleprosyʼ be? Naaman was from Syria (a foreigner), he was a general in the Syrian Army (an enemy), and had leprosy (to be excluded). Israel and Syria were not friendly toward each other. Possibly from a previous conquest Naaman had even taken a Jewish girl to be a slave in his own household. Everyone would have been against Naaman! Consider the courage of Naaman in going to Israel to a holy man named ʻElishaʼ. What obstacles has he had to overcome for healing? He insists on taking soil from Israel home to build an Altar. What sign of thanksgiving could you ʻbuildʼ to offer worship to God for healing and forgiveness? Scholars suggest that St Paulʼs letter to Timothy was written while he was in prison. St Paul was ʻin chainsʼ, treated as a criminal, ultimately for his preaching the gospel of inclusion by God in Christ to the gentiles. He invites young Timothy to also be willing to persevere and suffer for this mission. What would you be willing to endure ʻchainsʼ for? Do you consider yourself a revolutionary to over-turn the patterns of exclusion in society? Gospel stories are like ʻice-bergsʼ. 90% of the story is beneath the surface. Underneath the story of the lepers are further stories of exclusion, hurt, isolation. The Samaritan figure is like Naaman in the first reading, a hated foreigner. Past events had caused Samaritans not to acknowledge Jerusalem and the Temple as the place of true worship. Healing from leprosy required a ʻcertificate of healthʼ by the Priest and only when this was given would a ʻleperʼ be accepted back into the community. The 10 lepers are obviously so keen to see the priest that they lose sight of who did the healing – Jesus. Have you had some ʻhighʼ moments in life and forgot to return and ʻgive thanksʼ to God. Write or share or pray a ʻthank-youʼ list to God noticing things in your life you do not normally say ʻthanksʼ to God for. God wishes to include and bring to faith the most unlikely of characters. Naaman and the Samaritan leper show God wishes to include rather than exclude. What does this teach us about God? How might this adjust your ʻimage of Godʼ? Which unlikely character in your workplace might God be inviting you to ʻbring to faithʼ? What misconceptions do you and they need to let go of so that Godʼs welcome and inclusion can be realised? 26th Sunday Yr C – The Rich Man and Lazarus. Purple cloth and Poverty. Amos continues his public speech in Jerusalem against the incredibly wealthy who are so ʻsatisfiedʼ with beautiful beds, couches, food, wine, music concerts, beauty oils and cosmetics. ʻThey are not made ill by the collapse of their fellow people (Joseph)ʼ. How does wealth manage to create a ʻblindnessʼ to the poor? Can you remember any experience where you had your eyes opened to the cry of the poor? What happened? Godʼs covenantal relationship in Dt 15:4 stated that ʻthere should be no poor among you because the Lord will richly bless youʼ. Implied in this is the richly blessed sharing with others to ensure all are looked after. Have you realised a christian religious commitment / covenant also involves a social obligation / covenant toward the ʻpoorʼ? How are you currently expressing this commitment in your lifestyle? Some scholars consider this passage from the Letter to Timothy could come from an Ordination Ceremony. Do you have ʻcourage under fireʼ, like Jesus before Pontius Pilate, to give your testimony and confess your faith in the most difficult of circumstances? Where and when do you find it hard? Purple clothing was the ultimate sign of luxury and wealth because its source was a rare shellfish and insect being crushed. It was the ultimate in ʻbrandedʼ clothing to distinguish a person who had wealth. What symbols of wealth are worn or shown today? Do you belong to this ʻsystemʼ? What does it mean to you? The Great Reversal of fortunes is a theme of the Gospel of Luke. The Rich will be brought low, the poor will be lifted up. However it is not riches themselves that are the problem (Abraham himself was a very rich man!). It is the cycle of wealth to so preoccupy and claim ones attention and energy so that the needs of others go unnoticed. The rich man does know Lazarus because he calls out his name. However there is a failure of conversion. He cannot bring himself to share of his wealth. The Rich Man claims he did not have a warning that this reversal would happen. If this parable truly describes what will happen in the after-life, what does it demand of you? What would it take for your to ʻshare your wealthʼ? Have you given generously to the poor recently? Have you considered the difference between charity and true justice? The Parable of Lazarus could illustrate our Eucharistic Communities. We who are richly blessed, in our best Sunday clothes, celebrating in our liturgy Godʼs great blessing and Eucharistic Banquet, while there are so many poor sitting in the nearby streets and alley-ways. Jesus, in the Gospel of Luke, refuses to allow his disciples to feel comfortable and satisfied with the default settings of the world. The costly and inclusive hospitality of God is something we are called to witness to. What obstacle to a deeper conversion to the poor sits in your way? 24th Sunday Yr C – The Prodigal (wastefully extravagant) Father! Turning to God and receiving Godʼs forgiveness is at the centre of the readings this week. In the first reading God has just revealed his ʻnameʼ and ʻfaceʼ to Moses and given Israel guidelines for their living (10 Commandments). Israel is pictured as restless. They have been waiting for Moses to reveal God to them. They give up waiting. They want something ʻvisibleʼ. They make an ʻidolʼ of a golden calf – an ancient symbol of fertility, life, fruitfulness. Godʼs love and tenderness meets human rebellion. Have you had an experience of ʻwaitingʼ for God? Did you decide to make a ʻcalfʼ instead? Is there anything today you are ʻwaitingʼ for God to show you? Have you taken the time to listen to his ʻwordʼ or sought the advice of a ʻMosesʼ whom God wishes to speak through? Who is a Moses figure you could go to? his Father dead and totally disgraced the family in public?! The Father is an image of what God is truly like – wanting to find whoever is lost, and embracing with forgiveness all who have sinned. What ʻimageʼ of God do you have in your heart and mind from your family and religious experience? What fresh image or new understanding attracts you in Luke 15? Tax Collectors and Sinners were excited but Pharisees and Scribes were complaining. The religious issue was who does God ʻincludeʼ and welcome into the heavenly ʻbanquetʼ (heaven). Some could not accept Jesusʼ inclusivity as it turned their religious world-view ʻupside downʼ. What is the deep reason the older son wants to exclude his younger brother? Is this attitude present in your life? The young son commits the biggest sin possible for a young Jewish person (asking for the inheritance was like wishing Dad was ‘dead’). Yet the father’s love does not change. Do you feel distant from God because of something you have done …. 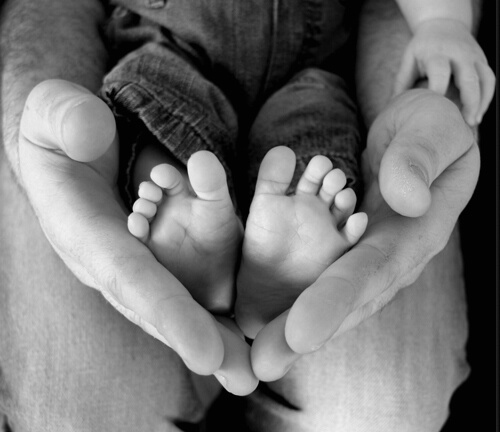 will you accept the love that the Father shows to his child is the same love that is shown to you? Would you accept this love is given to you in the sacrament of reconciliation? What holds you back? Identify the thoughts and feelings of each character, the younger son, the older brother, the Father. Which character do you identify more strongly with? Why? The Father does a number of humiliating actions which show the depth of his love. The Father runs in public. It was unbecoming for a Jewish elder to show one’s ankles in public. It is the equivalent of ‘baring one’s bottom’. The crowds attention is now drawn away from the son and the possibility of hurting him. The father accepts the humiliation, in front of the whole community, of the older son angry and argumentative. Does the older son wish the father was dead too? Does anyone appreciate the Fathers love? If this is what God is like toward you what is your response? What is one action that you will do to be ʻlivinghewordʼ this week? 23rd Sunday Yr C – going to war, building a house… how is this connected with discipleship? The Book of Wisdom was a Jewish response to the wisdom writers and Greek Philosophers seeking to understand the meaning of life. Written for Jews in Alexandria, the international and cultural centre of the time, many Jews were giving up their faith and adopting a Greek philosophy. Greek Philosophy taught that human nature was ʻagainst Godʼ and we could not ʻknow Godʼ. The Wisdom writer teaches we can be in tune with the Holy Spirit of God so our paths can become ʻstraightʼ. What do you think? Have you experienced the guidance of the Holy Spirit at any point in your life? Philemon was a convert of Paul and he was obviously wealthy enough to have slaves. Onesimus was a slave of Philemon who had escaped, found Paul in Rome, and had become very helpful to him. But Paul found out Onesimus was a ʻslaveʼ. He sent him back – with this letter – to his master Philemon. He does not try to change the slavery system, but seeks to change the heart of Philemon to treat Onesimus as a ʻbrotherʼ and to give him the status of being ʻfreeʼ. It was a dangerous move. Onesimus could have been killed, or at least be branded withʻfʼ (fugitiveʼ) on his forehead. Why would Paul take such a risk for freedom? Today Luke shares the most radical challenge of following Jesus. Great crowds are following Jesus and he turns to them because they may not truly understand what following him will involve. The disturbing ʻcostʼ of discipleship is that they must ʻhateʼ their family! This is a Jewish teaching method to prove a point. Jesus challenges every disciple he must come first. Above all family relationships. For Jewish people this is upsetting. Jesus is to be preferred before Mum and Dad… Jesus is to be the top social priority of their lives. 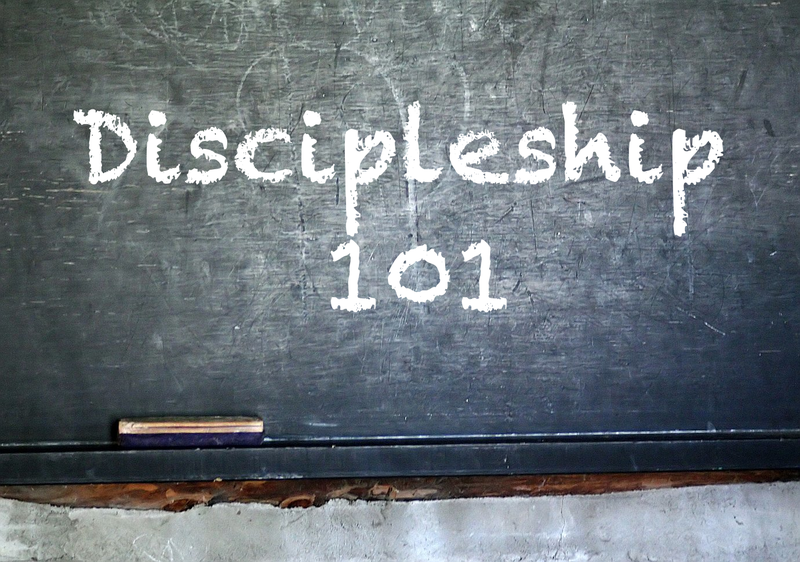 What does this discipleship challenge mean for you personally? Jesus often provides instruction, then offers an image into what living his teaching will look like. Building a house or marching into battle are two of the biggest challenges one might undertake in life. Instead of finances and military supplies, discipleship preparation is the task of being free of attachments to family and possessions. What would this large discipleship preparation task look like for you? Do you want to ʻfollow? What are your biggest obstacles? Freedom in relationships and possessions is a sign of a closer journey with Jesus. Imagine taking a modern person away from family and friends, cell phone and internet. Why is it difficult and why might it be ʻnecessaryʼ? Is there a relationship you are in which requires more freedom, possessions you may need to give away or your lifestyle simplified so that you may not be so ʻentangledʼ in following Christ? Sirach is a book of instructions on the day-to-day living of a good life. Top on the list of advice is to be ʻhumbleʼ. Someone who is ʻa giver of giftsʼ often expects something in return, whereas a humble person is not deceitful or cunning. A humble person does not try and pretend to be stronger or better than he / she is. A humble person has an ʻattentive earʼ. Why do you think Sirach considers Humility to be so important? What sort of world is created by its opposite? Today is the last time we have the letter to the Hebrews read to us. The differences between the ʻold lawʼ with its blazing fires of Mt Sinai, its trumpet blasts and fearsome prophecyʼs of Daniel is contrasted with the ʻnew gospelʼ of God dwelling joyfully amongst us, ʻfirstbornʼ christians belonging to the family of God, the joy of Jesus bringing the intimacy and forgiveness of God with the new covenant of the blood of the cross. In the Old Testament, the presence of God was a ʻfearsomeʼ thing. Has your image of God moved from the Old to the New? Reflect on the images used in the Hebrews scripture passage. What image(s) is meaningful for you? 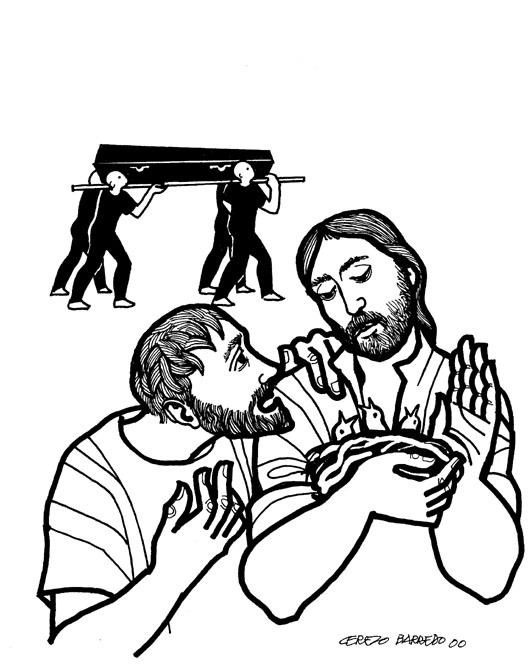 Luke 14 – 15 has many examples of Jesus at meals. He uses these moments to teach about ʻfellowshipʼ, critique structures in society, and teach the Church about how true eucharistic gatherings should function. It is helpful to see the warmth Jesus wants to extend to those who are excluded and his challenging words to social structures which exclude people. Some say Jesus was a disturbing guest who may not have received many second invitations! What would your impression be of Jesus if you were sitting at this meal ʻobserving him carefullyʼ? In the time of Jesus, and generally with people who do not have ʻwealthʼ, status in the community was based on ʻreputationʼ. To have your reputation held high was a growth in ʻhonourʼ. To have your reputation lowered was considered a source of great ʻshameʼ. This system can create a game where you take a humble position but wait desperately to be ʻhonouredʼ and ʻmoved upʼ! Generosity is secretly only self centred reciprocity. Jesus shares a subversive challenge which would change the whole social structure. What is his challenge? Jesus reverses everything that was considered socially and religiously ʻcorrectʼ. The poor, crippled, lame, blind were excluded from the priesthood and some claimed they were not eligible to participate in the heavenly banquet. The Kingdom of God revealed by Jesus is there is a great reversal about to take place. Notice the extreme nature of Jesusʼ challenge. He doesnʼt say give money to the poor, give some volunteer service hours to the poor, but ʻinvite them into your home, to sit at table and eat togetherʼ! To enter into a relationship that goes beyond ʻcharityʼ. Examine your life- style and ʻtime-styleʼ. Who do you include? Exclude? Why? How could you bring about the ʻgreat reversalʼ of the Kingdom of God in your family, workplace, church community? What is one action that you will do to ʻlivethewordʼ this week? The Book of Wisdom was written to help Jews life faithfully in the midst of the big and unbelieving city of Alexandria. The strong Greek culture, pagan worship, and completely different view on life caused many Alexandrian Jews to have a crisis of faith. The writer encourages them to have courage in the ʻoaths in which they put their faithʼ and to live according to the divine commands given by God. What is your biggest struggle in living in a secular society? What particular belief, knowledge or practice is at the source of your courage to keep ʻfaithfulʼ? The Letter to the Hebrews is the 2nd reading for the next 4 weeks. It is a letter written to ʻHebrewsʼ to help them understand how their Old Testament worship has now been completed and overtaken by the Cross of Christ. Abraham is inspirational as a model of ʻfaithʼ. He left home not knowing where he was going, actively stepped out and searched for Land, slept with his sterile wife Sarah trusting in a child. It would have been easy to sit on the couch waiting for Godʼs promises. Abraham reminds us to participate. Are their areas in your life where you need to participate more with God? What is the next step? Luke continues to develop a theme of Jesusʼ teachings on wealth and greed. Building a bigger barn to house more grain was considered foolish – it signalled a decision to move from having ʻenoughʼ to having ʻluxuryʼ, total sensual satisfaction combined with a blindness to those who do not have ʻenoughʼ to eat and drink. Have you considered moving from ʻhoping to be generousʼ to a decision ʻto be generousʼ? Opening up a ʻGod bank accountʼ? Asking your priest or friends who is in need in your local area? The invitation to sell your belongings and give alms is for Luke a decision to live a very different lifestyle. To throw away all plans of greed and self centeredness and live simply so others may simply ʻliveʼ. How you ever considered voluntary poverty and simplicity of life so that resources may be shared for others? Is there a life-style choice that you could make this week to live this invitation? The Christian community is recognising Jesusʼ return is not coming immediately. The parable shares an image. Disciples are to understand themselves as ʻcare- takersʼ charged with the task of ʻfood distributionʼ. Attending to this task determines where believers will spend eternity! Did you know 1 billion people are hungry every day? Ever thought of dropping off food to a ʻfood bankʼ or starting a collection in your parish? If entry into heaven was based on a quiz, and you knew the answers before-hand, would you practise the answers? If we are to clothe the naked, feed the hungry, comfort the sick and lost – and we know this is the ʻmasters willʼ – would we be found ʻreadyʼ? Do we fear not being found ready…. are we in for a ʻsevere beatingʼ? 13th Sunday Yr C – are you setting your face like flint? Elijah is one of the greatest prophets of the Old Testament. But even he gets tired. God tells him to find his successor to continue the prophetʼs work. In your ministry and service of God are you ʻfinding a successorʼ to share the load and replace you? Have a conversation with God about this. Elijah is very wealthy. Most families would own only 1 Oxen. He kills the 12 Oxen and uses the farming tools to create a fire. He destroys everything so as to not be attracted back to his old life. He makes a decision that Godʼs work has primacy of place and is the first calling upon his life. Imagine living these actions within your own life and circumstances. What attracts you? In what areas of your life are you not ʻfreeʼ? From Luke 9,51 we meet a tougher Jesus. Some texts have Jesus ʻset his face like flintʼ toward Jerusalem. He is determined and makes large demands of his disciples. Going to Jerusalem represents Jesusʼ obedience to God to do ʻhis willʼ. Is there anything you have heard God ask you to do? What will it involve for you to ʻset your faceʼ resolutely toward doing it? Three unknown people have questions about discipleship in the Gospel. We are invited to hear their questions echo in our own hearts, enter the conversation, respond to Jesusʼ challenge. Jesus has nowhere to lay his head. Are you free enough to leave home, security, comfort? Care for and burial of oneʼs parents was a top social and cultural priority for Jewish people. Allegiance to parents and duties as a child is replaced by Jesus with ʻproclaiming the kingdom of Godʼ. What pressures or expectations does society or your family place upon you? Do these ʻlimitʼ your freedom to respond to God by living the values and lifestyle of Jesus? How? What will you now do? Jesus takes disciples on a special journey toward Jerusalem from this point in the Gospel. There is no turning back. The joy and success of ministry in Galilee changes to resistance by religious people and civil authorities. Jesus urgently teaches his disciples about mission and the Kingdom of God. Imagine a fire is burning and many peopleʼs lives are in danger. Would you let go of your ʻworkʼ to ʻsaveʼ these people? Such is the call of the Kingdom of God. How will you respond?